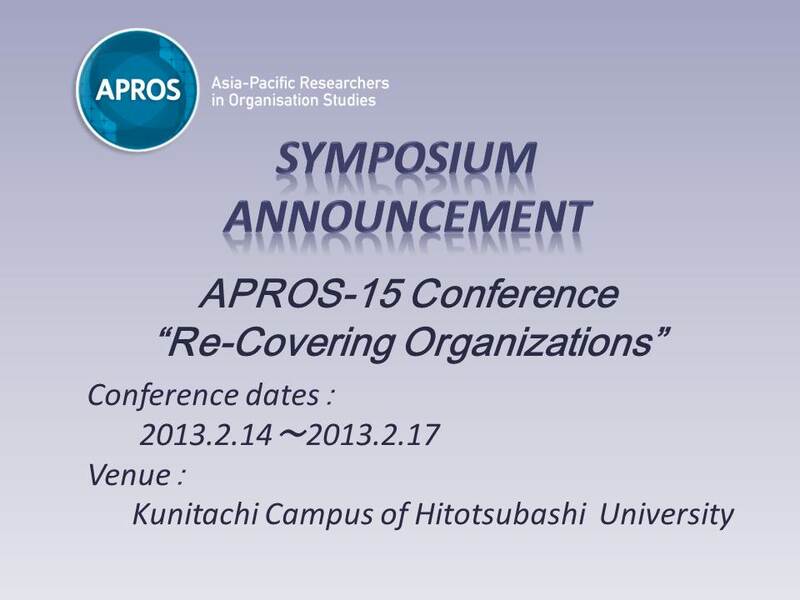 We are pleased to announce that Hitotsubashi University hosts the APROS-15 Conference on February 14-17, 2013. APROS was created in Australia in 1982 and currently is hosted by CMOS (the Centre for Management and Organization Studies) in the Faculty of Business, University of Technology, Sydney. APROS has been developing a multidisciplinary network of Asia-Pacific Researchers in Organization Studies, being associated with EGOS (the European Group for Organization Studies). 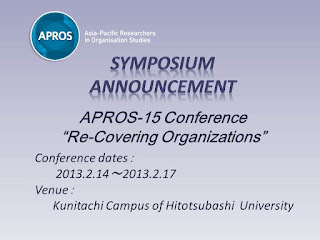 The upcoming APROS-15 conference is held in Japan after 20-year absence and we welcome researchers interested in Organization Studies. Stephen E. Little, Open University, U.K.
- Sano Shoin Hall is located south next to the Kunitachi Campus and 15mins walk from JR Kunitachi Station.